Energy Impact Partners is now offering equity and debt for next-generation energy companies. Energy Impact Partners, the utility-backed investment fund that’s put more than $200 million into 20 startups covering a range of next-generation utility technologies and business models, has much more money to invest — not just as an equity investor, but as a lender. This week, EIP announced it has raised $681 million to invest in “cutting-edge technology companies.” This total includes the $531 million it collected for an equity Flagship Fund, which has made nearly all of EIP’s investments to date, including Advanced Microgrid Solutions, Arcadia Power, AutoGrid, BHI Energy, Cimcon Ligting, Clevest, Dragos, Ecobee, Enchanted Rock, FirstFuel, Greenlots, Mosaic, Opus One Solutions, Powerphase, Ring, Sense, Sparkfund, and most recently, Urbint. But it also includes access to up to $150 million in debt from the U.S. Small Business Administration under EIP’s Energy Impact Credit Fund (EICF). 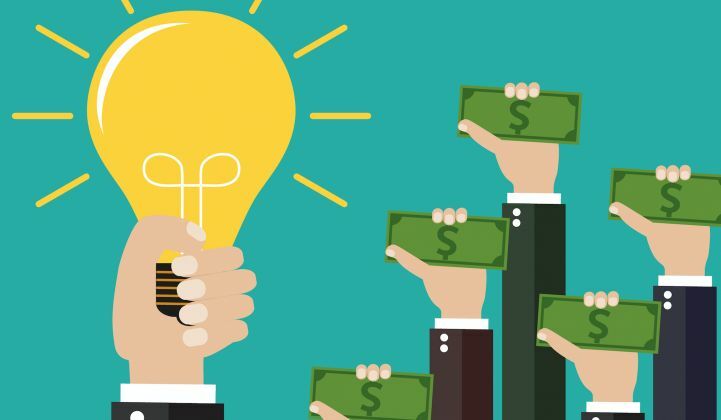 This will allow its 14 utility partners — including Southern Company, National Grid, Xcel Energy, Ameren, Avista, Great Plains Energy, and Tokyo’s Tepco — to back companies that aren’t suited for venture capital, but are important to what utilities believe they’ll need in an increasingly disrupted energy future. This lending authority has been part of EIP’s plans since its 2015 founding, according to Hans Kobler, EIP’s CEO and managing partner. “It almost took three years — we actually started talking to the SBIC before we launched the fund,” he said in a Thursday interview. SBIC stands for the SBA’s Small Business Investment Company program, which allows for every dollar of debt contributed by EIP’s partners to be matched with “two dollars of a competitive loan at attractive prices,” Kobler said. The $150 million mentioned in Wednesday’s press release represents the maximum lending authority under SBIC, which presumes that EIP partners would contribute $75 million from its Flagship equity fund, he said. As for the purpose of lending alongside equity investing, “the debt fund actually is a continuation of what we do,” he said. EIP is not looking for early-stage investments, but what he called “inflection point” companies, with proven technology and customers that can vouch for their experience. “We work with our partners to look for the best companies, those we believe will be the No. 1 or No. 2 in the segments that matter to our partners” — a list that includes distributed energy, distributed grid intelligence, electric vehicle charging, microgrids, energy efficiency, and customer connectivity. EICF made its first loan in March, joining Zoma Capital to provide an undisclosed amount of debt to Tendril. The Boulder, Colo.-based startup has been providing in-home energy management software and services to scores of utilities for more than a decade. It has raised multiple rounds of equity financing, as well as gone through a near-death experience as it pivoted from home energy hardware to software around the turn of the decade. Several of EIP’s utility partners are current customers, including Xcel Energy. "Others are prospective customers,” Tuck said in a Thursday interview. This aligns with EIP’s mission to deliver technology to its customers, which in Tendril’s case involved R&D funding for its “orchestrated energy” cloud platform, he said. But beyond the money, EIP has “hired people whose sole job is to help the partner utilities work with their portfolio companies,” he said. “That means we share sales pipelines with them, they help us with introductions to utilities, and it’s driven real tangible results." To date, only one of EIP’s portfolio companies has seen an exit — Ring, the wireless doorbell and home automation vendor that was bought by Amazon for more than $1 billion in February. "We divide our world into roughly three buckets,” said Kobler. “The first is, what helps the core utility." That includes utility workforce mobile technology from Clevest, EV charging networks from Greenlots, distribution grid management from AutoGrid or Opus One, or improved generation from Powerphase, to name a few examples. The second category includes technology or business models that take EIP’s utility partners “closer to the customer,” he said — a category that includes Ring and Tendril, smart thermostat maker ecobee, or home energy disaggregation startup Sense, among others.